Valhewadi is a hamlet of the main village Ghotewadi. 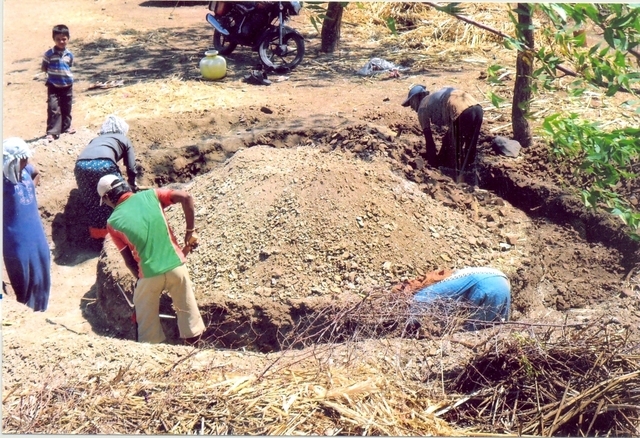 It is a drought prone area of Maharashtra, and is the driest block of Nasik district. It receives an annual rainfall of 400-500 mm which is erratic and irregular. • Distribution pipe-line from newly constructed water storage tank to individual houses has been provided. • Construction of 3 stand posts (water distribution points) and 45 individual tap connections are provided to the families. • Installation of 3 HP electric-pump with all accessories. 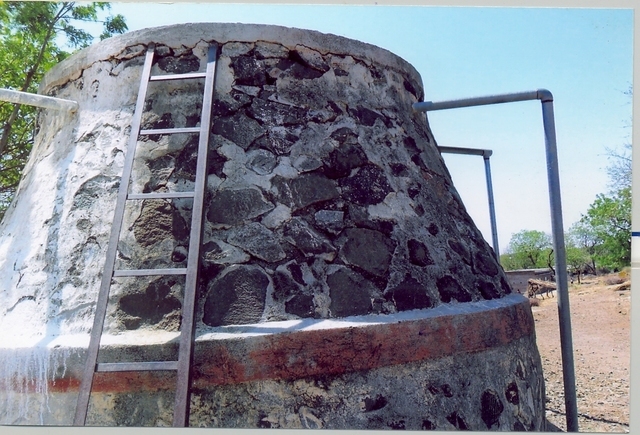 • Plastering and repairing has been done of the second water storage tank of 5000 liters capacity. • Sanitation: Prior the individual toilets were available to 48 households; now 8 new individual toilets have been constructed. The remaining toilets will be constructed in monsoon season. •	Self Help Groups (SHGs): There are total 7 SHGs involving 105 women members. These groups regularly conduct their monthly meetings and in these meetings they collect savings and distribute loans for the needy women for their credit needs. At the same time the inputs about the safe drinking water and health and hygiene is being given by the Lady Social Worker of the NGO. The issues regarding drinking water are being discussed and the trouble shooting problems are resolved. - The project is in the initial stage of implementation. - The project was sanctioned by BPR in Dec. 2011. The funds of USD 8,953.81 was received by WOTR on 6/1/2012. Thereafter the initial activities were initiated. - In December 2011, a visit to the project was conducted from Ahmednagar office to explain the sanctioned budget and implementation strategy. The meeting of the Women’s Water Committee was organized at the time of the visit. - The Savitribai Phule Women’s Water Distribution Committee has been formed involving 11 members. The Committee has opened a bank account (A/c. No. 13614) in the Cooperative Bank of the village. - Further, to initiate the physical implementation of the project, the general body meeting of the hamlet was conducted on 23 Jan 2012. The beneficiary households were asked to contribute the people’s contribution amount to the Women’s Water Committee. - Till date Rs. 22,000 (approx USD 440) has been collected against the expected people’s contribution amount of USD 2178. - The villagers have decided to collect the entire amount of people’s contribution by end of April 2012. Thereafter, the first installment will be released to the Water Committee. 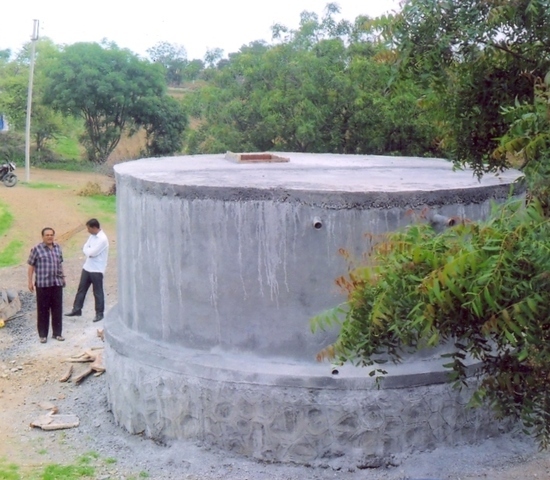 - The Water Committee has planned to initiate the work of water storage tank of 20 litres capacity in the first week of May 2012. 1. The construction work of the proposed new water storage tank of 20,000 liters capacity has been completed as per plan. 2. The work of laying of new pipeline is in progress and will be completed by end Aug 2012. - The existing water tank of capacity 5000 ltr which was constructed earlier from the govt scheme was repaired. The leaks were fixed, valves and pipes were replaced. 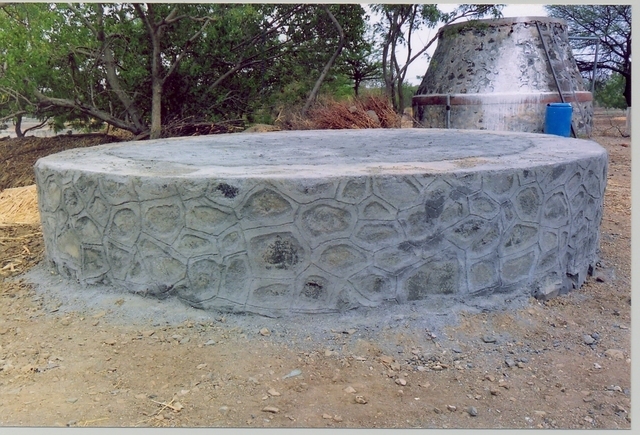 -The water stored in this tank is now used for construction of the new drinking water tank of 20,000 ltr capacity. 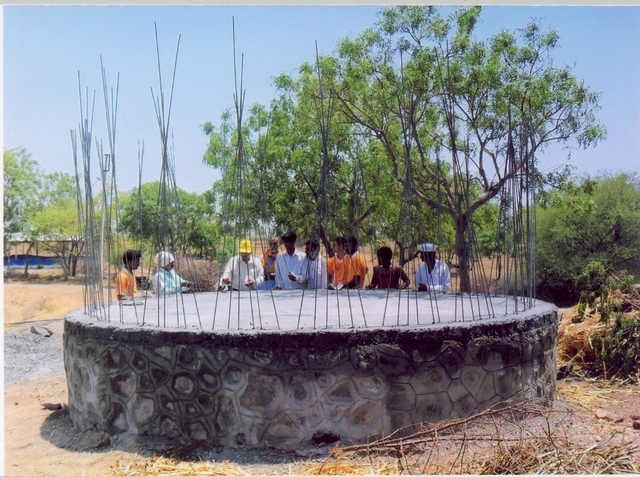 - The drinking water project will be implemented through the WOTR’s partner NGO i.e. GARD [Grassroots Action for Reconstruction and Development] which associated with WOTR since last 10 years. - GARD has implemented five Integrated Watershed projects successfully with the financial support of WOTR and NABARD [National Bank for Argil. and Rural Development]. - The social mobilisation and technical support will be provided by the field staff of GARD under the supervision of WOTR. The monitoring will be done by WOTR .